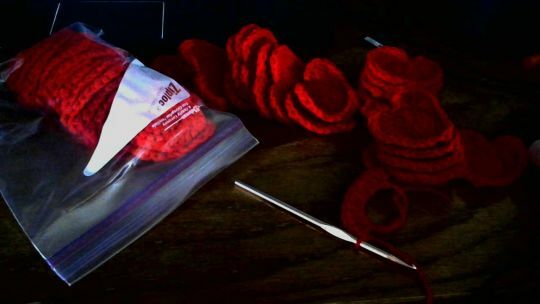 I am just finishing up the last 10 of the 50 or so hearts I made for my kids to take and give instead of paper cards that will be thrown away anyway. I will insert a sucker in each one and all three of my kids will be ecstatic since this was all that they wanted to give out this year, the suckers are a bonus. Whew, 50. You’re a dedicated Mom!